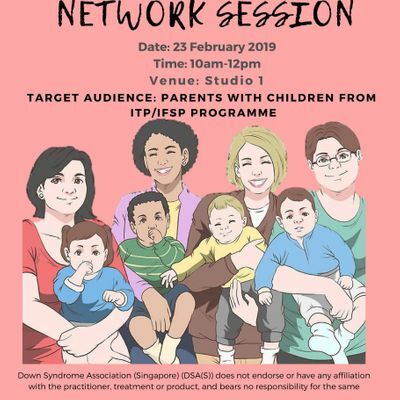 Please find the attached flyer for a network session on Saturday, 23 Feb 2019, 10am –12.00pm, entitled: “Young Parents Network Session". 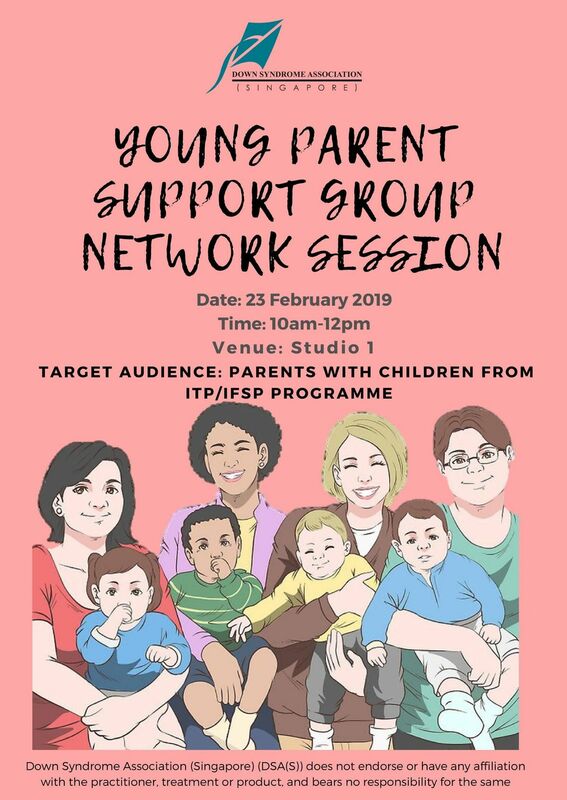 Come join us for a network session especially for young parents. We want to hear your feedback and concerns so that we can cater our services to your better needs. Light refreshments would be provided. If you wish to register for this workshop, please submit your online registration at EventBrite. Target age group: Parents with Children from ITP and IFSP programme or parents with children under 12 years old. If you do register for the workshop, please do turn up for it. If you have registered for the workshop but is unable to make it, we would appreciate if you could notify us for attendance purpose. We look forward for your participation. Thank you.